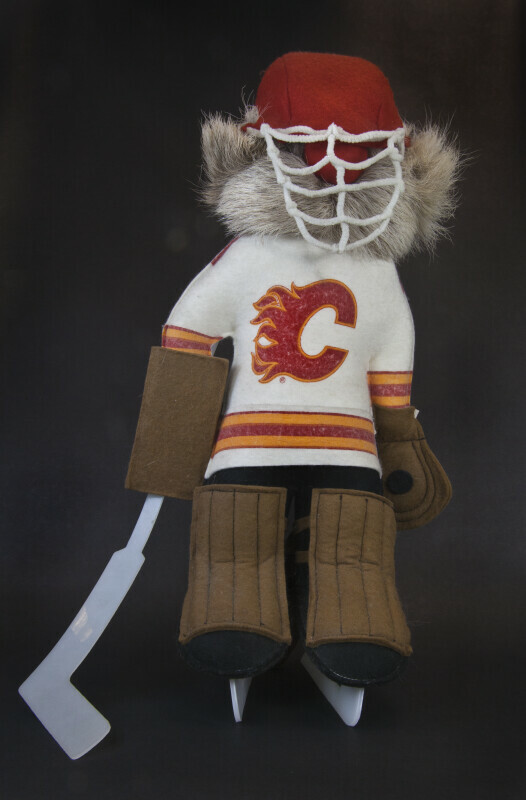 Handcrafted ice hockey player from Calgary, Canada. Tag says "This original, Canadian character doll is a member of the Fufel Doll Collection. Each member of this collection is handcrafted in Canada from genuine reindeer fur, high quality felt and approved stuffing. The design of each doll is the creation of Eila, a talented Finnish born designer." This figure stands 16 inches (41 cm) tall.